Veneers are and excellent minimally invasive procedure that can transform your smile. Whether you have crowding, staining, or simply aren't happy with the shape of your teeth, veneers could be the solution to your new smile. Crowns are also an excellent option and are often used instead of veneers in more extreme cases, such as the current teeth being extensively cracked or decayed, significant crowding or spacing, or severe discoloration. 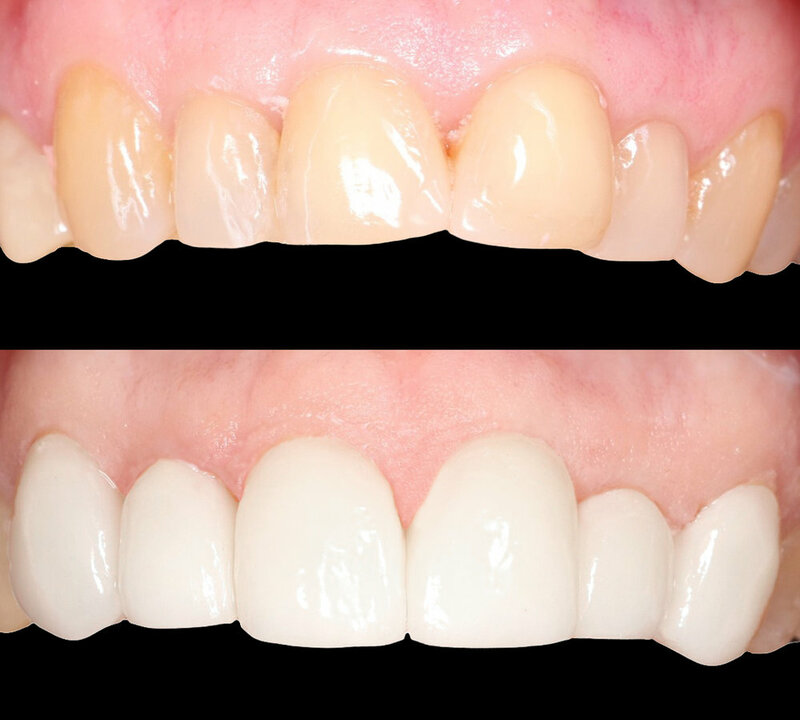 Esthetically, since they are also made out of beautiful, natural looking porcelain, they give the same end result as veneers, and sometimes even better. Your doctor will help you decide which treatment will provide you with the most esthetic result, while retaining the maximum amount of natural strength and integrity of your teeth. Some of the pictures above show crown, and some show veneers. Can you guess which is which?